When the Institute of Medicine (IOM) published To Err Is Human: Building a Safer Health System in 2000, the executives and quality and patient safety staff at Gundersen Lutheran immediately started discussions around issues emphasized in the report. One of the initiatives started at that time included increasing the engagement of our frontline staff in improving patient safety. This foundational work supported the development and evolution of what we now call Safety Huddles. Gundersen Lutheran provides high-quality emergency, specialty, and primary healthcare services to patients throughout western Wisconsin, southeastern Minnesota, and northeastern Iowa. As one of the largest multispecialty group medical practices and a major teaching hospital, the organization comprises nearly 700 medical, dental, and associate staff, supported by a staff of more than 6,000. Safety Huddles at the hospital officially began in July 2006. One of our first formal Safety Huddles was prompted by a tragic event that occurred in a major healthcare facility in Wisconsin. A 15-year-old first-time mom received an epidural medication intravenously, which led to a seizure and, subsequently, her death. When we heard this story in the news, many of us wondered if something similar could happen at our hospital. The quality and patient safety staff took the lead in pulling together a group of professionals and frontline staff to explore that possibility. Members of the group included the patient safety coordinator, medication safety manager, OB and pediatric pharmacists, director of pharmacy, managers of labor and delivery, registered nurses from labor and delivery, anesthesiologists, and risk management staff. This meeting was called a Safety Huddle because the group “huddled” to find out what issues led to the patient’s death, what could be done to fix them, and assure itself that a similar incident would not happen here. Prior to the Safety Huddle, the patient safety coordinator read the details of the incident and put together a list of system failures at that hospital that might have led to the event. The coordinator also interviewed bedside RNs from Gundersen Lutheran’s labor and delivery to determine and list potential failures. That list was provided to the group at the beginning of the Safety Huddle. The label was changed to have the 5 “rights” bolded: Right patient, Right medication, Right dose, Right route, and Right time (Figure 1). Pharmacy added a red lock stopper to all narcotics and anesthetics. A red lock is snapped over the IV access port of all narcotics (including epidurals, narcotic drips and PCAs) prior to dispensing. This provides additional distinction from narcotics/anesthetics to other infusions (Figure 2). Pharmacy places a yellow “For Epidural Use” sticker over the blue port. The anesthesiologist has to tear off the yellow sticker/blue plastic prior to connecting it to the yellow tubing. In this case, color helps distinguish the different route of tubing (Figure 2). In labor and delivery, the epidural bags are not brought into the patient’s room until anesthesia arrives. At the time, we did not realize the Safety Huddle would evolve to a methodology that staff, the interdisciplinary team, and patients and families would embrace and integrate into their roles. Having the healthcare team huddling on a specific issue yielded clear, quick system changes. We had numerous quality improvement processes, but wondered if the staff could embrace and utilize this methodology to integrate quality and safety into practice. Our chief quality officer proposed and challenged us to move forward with this concept. A taskforce consisting of leadership from quality improvement, patient safety, risk management, and the department of nursing assisted in creating the next steps for moving the Safety Huddles to the operational level. Support from our senior leaders, including our CEO, was instrumental in hardwiring Safety Huddles into our culture. A formal process for Safety Huddles was put into effect in January 2008. Our hypothesis was that conducting Safety Huddles would assist us in meeting our goal of providing the safest care possible by eliminating all preventable harm and helping to create a culture of safety. New guidelines developed to assure high-risk patients are not left alone in the bathroom. Creation of a trigger tool for staff to use when looking at why falls occurred or how to prevent them before they happen. A new process was put in place to assure inpatient units are notified immediately of a new case of resistant drug organism, to assure proper precautions are put in place. A phone was added in the hospital lobby to assure quick access for emergencies. Bariatric equipment was purchased and placed in appropriate areas. Collaboration and teamwork improvements occurred between the oncology/medical unit and hospice, including improvements to communication to assure patient safety. The entire team also creates the patient’s care plan together. A new form and communication system was implemented for direct admissions to assure complete information is handed off to the inpatient nurse. An algorithm was created for proper equipment use for patients with a high risk for pressure ulcers. Resources and equipment were added to assure safe transfers of patients and visitors in the lobby, including bariatric wheelchairs at each entrance. A new process was put in place at regional sites to refer urgent calls to the telephone nurse and to notify pharmacists online for medication questions. Automated external defibrillators were added to freestanding clinics. In one clinic, a designated charge nurse is assigned to lead in the case of emergencies and assign a recorder. A system check was put in place in one clinic to assure oxygen tanks have tubing attached at all times for emergencies. In one regional clinic, the location of a triage area was changed to allow quieter and clearer communication. Simplified the critical paging system and location of emergency numbers to assure staff can quickly get help when needed. A new process was developed for transporting specimens from internal medicine to the lab. A standard order sheet was created for immunizations, including both abbreviated and generic names as well as age guidelines. Immediate Safety Huddle. When an event occurs, a meeting happens within 24 hours to support the patient, family, and staff’s emotional and physical needs. We work together to address any system or process issues that may have led to the event. Concerning Safety Huddle. A staff member may have seen a safety issue more than once and feels we need to huddle in order to address it before it causes harm. Proactive Safety Huddle. An event or near miss has occurred at another healthcare facility involving quality-of-care issues, harm, or potential for harm. We meet to look at our similar processes for care, assess for gaps, and fix any issues found. An algorithm was created with clear steps for staff, charge nurses, managers, and directors to take depending on the type of Safety Huddle needed. The ability of any staff member to identify a need for a Safety Huddle was promoted. Prior to implementation of the Safety Huddles, we informed senior leadership and provided them with materials. Staff will immediately notify the charge nurse that an event has occurred. The charge nurse will notify the manager or on-call manager. The manager will contact the director. Concurrently we are taking care of the patient, family, and staff and support any physical or emotional needs. Major events can be challenging for patients, families, and staff. We stressed the importance of the manager being present with the staff to make sure they are supported and are able to support the patient and family. Assess the status of the patient and current situation. Determine the need for a Safety Huddle and who should participate. The director will lead the Safety Huddle along with any necessary resources deemed appropriate. Depending on the level of harm, patient safety or risk management can assist in leading. What are the needs of the patient, family or staff? Are any other notifications needed at this time? What actions are necessary to prevent reoccurrence? Who will speak with the family? Is there need for the group to meet again? The monitoring of Safety Huddle data and reporting measures are kept centralized in order to ensure completion and standardization of changes. Online templates were created to guide the staff leading the Safety Huddle through all the steps. Items include the date of the huddle, the event that initiated the huddle, those who attended, and next steps/conclusions. We utilize our risk management database to log our Safety Huddle work. From this we can monitor the number of huddles (Table 1), the roles of the staff attending and their departments, and outcomes including the number of system or practice changes, general changes, and education or communication resulting from Safety Huddles. One key to our monitoring strategy is an automated e-mail that alerts the director of patient safety once an employee submits an event report indicating that a Safety Huddle has occurred. Completed Safety Huddle templates and action plans are recorded and tracked in the electronic database. Changes are shared with staff to promote their work in keeping our patients safe. Reports are run to ensure action steps have been accomplished and to observe for trends. De-identified Safety Huddle summaries are shared bi-weekly with designated leadership. Outcomes and examples of changes from Safety Huddles are recorded in a centralized area to ensure standardized reporting. Actions and results are shared organizationally to promote and encourage the work and involvement of front line staff in the Safety Huddle process. Conducting huddles has resulted in staff openly sharing concerns and issues being addressed quickly. There has been better understanding of the issues and systems contributing to unsafe care. We have seen more teamwork and better understanding between departments and enhanced learning and engagement between disciplines. Patient safety issues are communicated regularly to leaders, executives, and hospital Board members. There is value added by engaging patients and families in Safety Huddles. In 2009 huddles resulted in 204 system or department changes and 105 patient-specific changes. I see the huddles as a way to move and change the culture so that staff has a safe forum to share concerns and system issues. It has been important bringing together the interdisciplinary team so that we learn from each other and share ideas. I am so impressed with the report out process used for Safety Huddles; the transparency is commendable for learning. Our mentality is changing. If there’s a safety issue, the staff is starting to feel empowered to take immediate steps to change systems or processes that may be ineffective. Engage leaders to assure they support the Safety Huddle process and encourage active participation of their staff members. 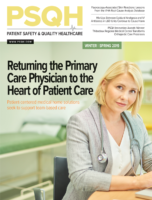 It is important for those directly caring for the patient, as well as patients and families, to be involved in Safety Huddles and share their concerns and solutions. Creating a blame-free environment is a major force in gaining trust from staff members to ensure they openly share their concerns. Gundersen Lutheran’s strategic plan clearly sets our vision of demonstrating superior quality and safety through the eyes of the patients and the caregivers by preventing harm to patients. We believe that our use of Safety Huddles is a major driver for safer care. The Safety Huddles have assisted us in providing safe, quality care to our patients by reducing the risk of system or process failures. Through “huddling,” we have created a blame-free environment where teamwork is enhanced, the staff is engaged, and harm is prevented. There have been numerous improvements in practice and process changes based on issues identified in Safety Huddles. Two of our goals in 2009 were to increase the number of proactive Safety Huddles and increase the number of patients and families who attend. We have met these goals. In fact, we have seen a dramatic increase from last year in attendance by patients and families. Our staff has been creative in holding Safety Huddles and including the patient’s loved ones to prevent falls. An example of a creative idea came from a family member who said that the patient (his brother) responded well to his voice. The staff recorded his voice on the bed alarm to remind the patient to lie back down. This calmed the patient and helped protect him from falling during his stay. The patient or his/her family knows the patient the best, so involving them in innovative solutions is a must. By proactively including the family or the patient in the Safety Huddles, we can get a better sense of steps we should take to keep them safe while they’re in our care. Their suggestions are added to the care plan. We will continue to find ways to manage the analysis and follow-up of data and share stories with staff members so they can see the change and value of the Safety Huddles. We also will continue to encourage and train staff members to speak up if they see a co-worker not following a safety practice. Although our approach is still to examine systems and processes—not individuals—in Safety Huddles, we are moving towards more of a “just culture” approach, in which we will balance the need to have a non-punitive learning environment with the need to hold individuals accountable for their actions. All of the authors work at Gundersen Lutheran Health System in La Crosse, Wisconsin. Mary Lu Gerke is vice president of nursing. Her responsibilities include chief nursing officer, nursing education and development, nursing research, and executive of the UW-Western Campus for Nursing. She holds a BSN from Viterbo University in La Crosse, a master’s degree in nursing administration from Winona State University in Minnesota, a master’s degree in human and organizational development from Fielding University in Santa Barbara, California, and a PhD in human and organizational development from Fielding Graduate University. She may be contacted at mlgerke@gundluth.org. Cheryl Uffelman is director of patient safety. She holds an undergraduate degree in nursing from Winona State University in Minnesota and a master’s degree in nursing leadership from Viterbo University in Wisconsin. She may be contacted at cmuffelm@gundluth.org. Kim Weber Chandler is patient safety coordinator. She holds a diploma in nursing from Norfolk General Hospital, School of Professional Nursing in Virginia, and a BSN from Excelsior College in New York. She may be contacted at klweberc@gundluth.org. Collins, J. (2001). Good to Great. New York: Harper Business. Committee on Quality of Health Care in America, Institute of Medicine, (2000). To err is human: Building a safer health system. Washington, DC: National Academy Press. Denison, A. & Pierce, J. R. (2003). Systems analysis of a clinical error. Journal of Public Health Management Practice, 9(1), 43-46. Griffin, V. & Madigan, C. (2007, December). Incorporating patient safety initiates into nursing practice. Nurse Leader, 34-37. Marshall, D. A. & Manus, D. A. (2007). A team training program using human factors to enhance patient safety. AORN Journal, 86(6), 994-1011. The authors recognize Lisa Sheldon, BS, and Jane Robinson, BS, for their expertise in data analysis and for assistance in preparing this manuscript.